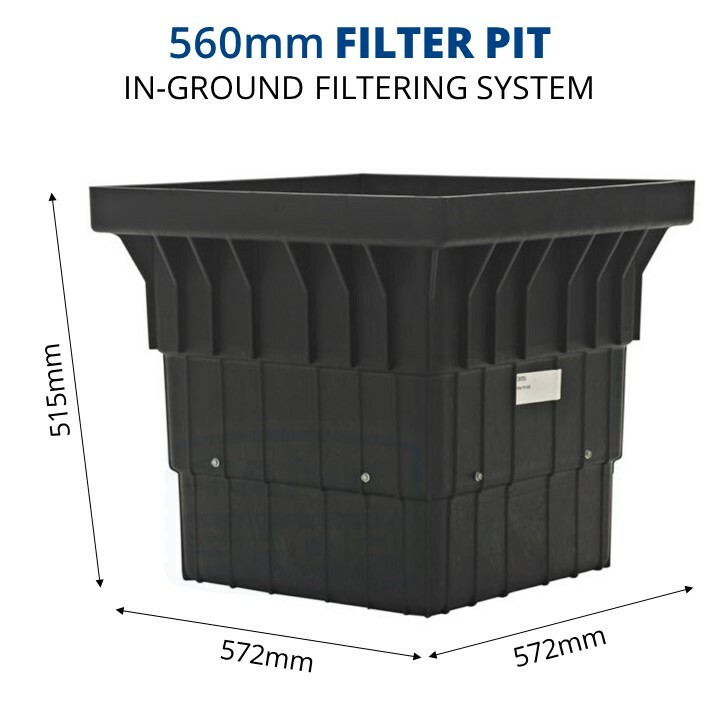 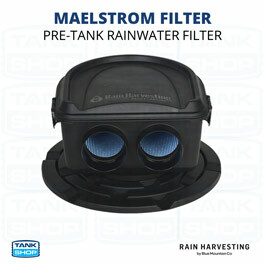 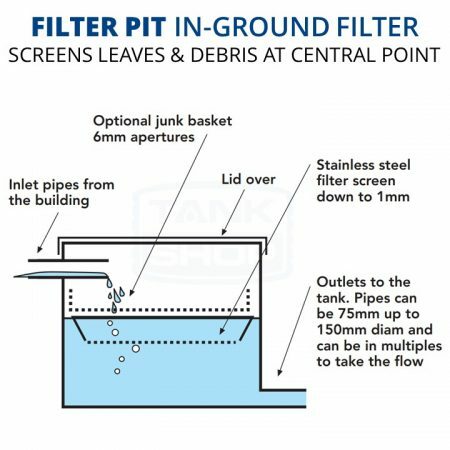 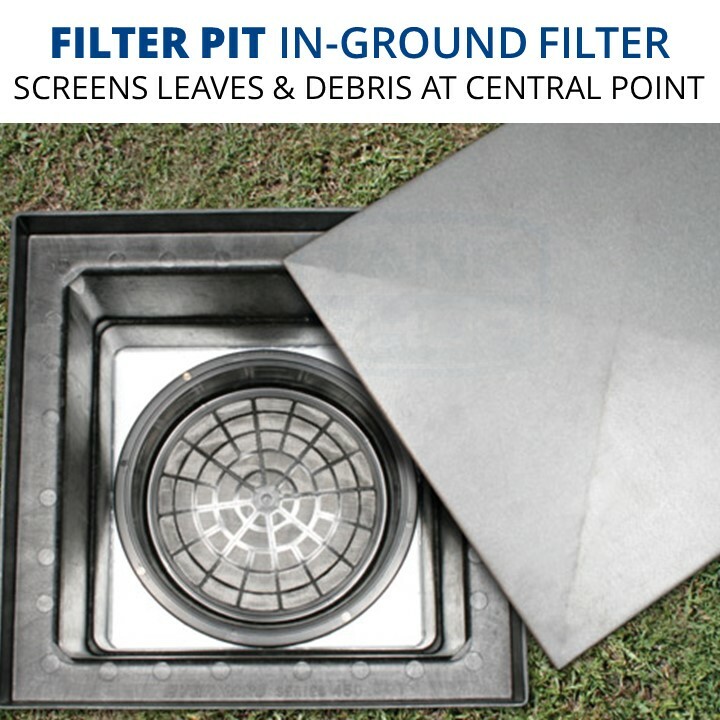 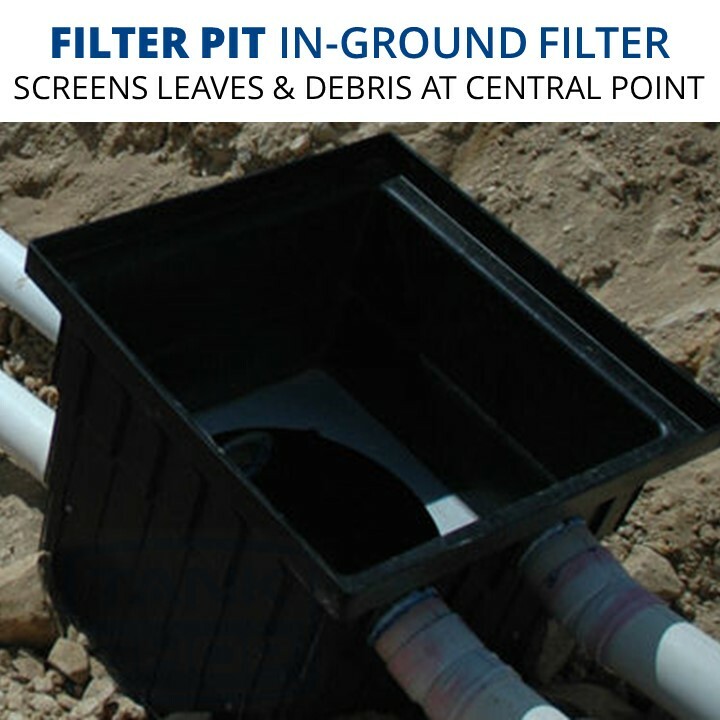 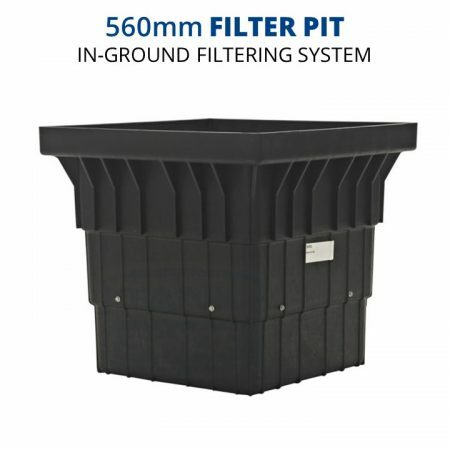 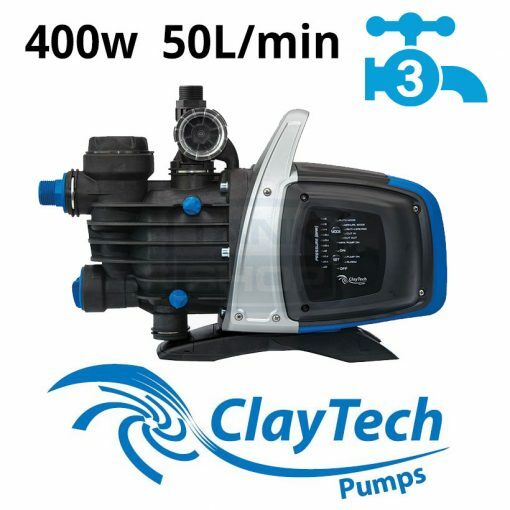 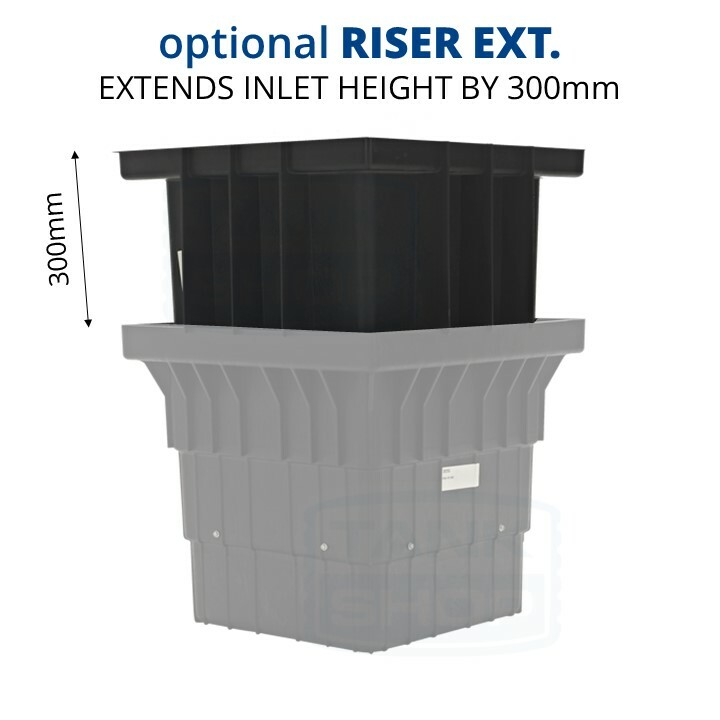 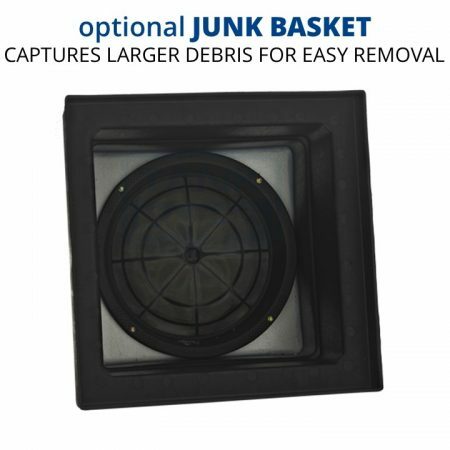 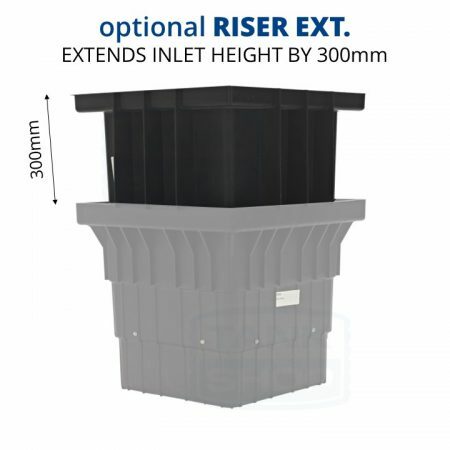 Rain Harvesting's 560mm Filter Pit (TAFP01) handles large volumes of rainwater and enable screening to be done at a central point in the system. 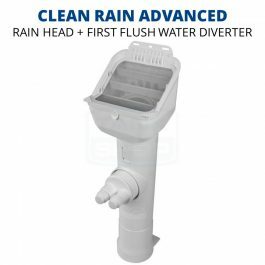 In some cases they can be safer and easier to clean than rain heads fitted at roof gutters. Rain Harvesting’s 560mm Filter Pit (TAFP01) handles large volumes of rainwater and enable screening to be done at a central point in the system. 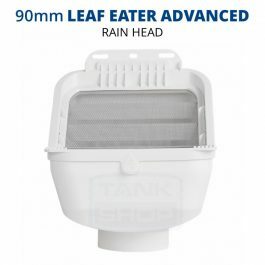 In some cases they can be safer and easier to clean than rain heads fitted at roof gutters.